Instantly access a world of confirmed, high-quality manufacturers to make your product idea a reality. 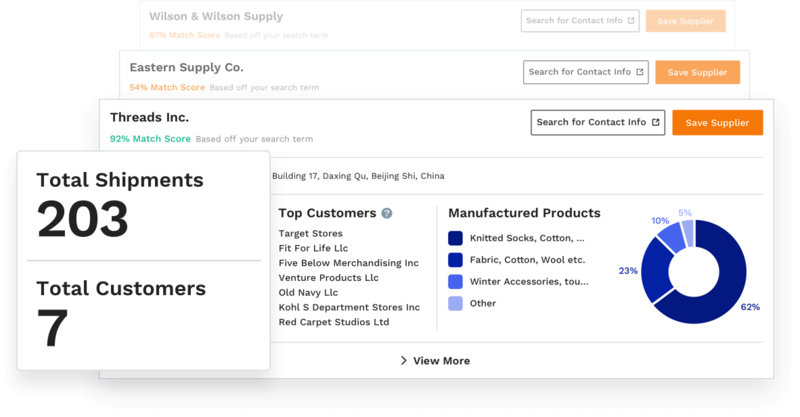 Supplier Database is a first-of-its-kind feature among Amazon selling tools, helping you find legitimate global suppliers used by the world’s best brands. 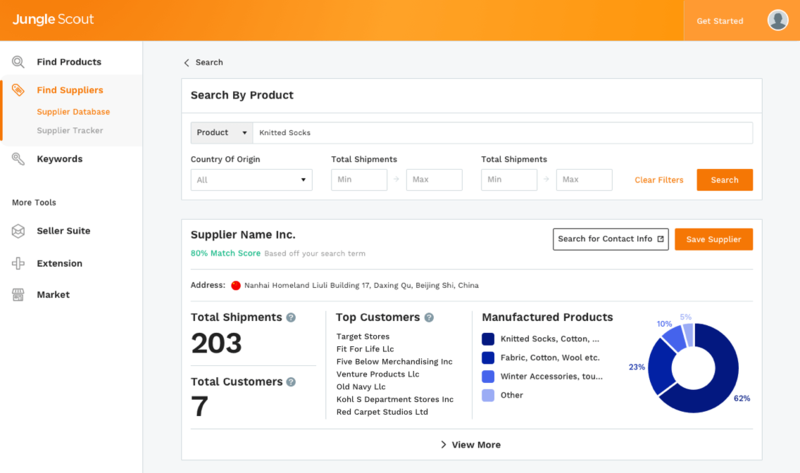 Supplier Database enables sellers to see potential suppliers, including customer volume, and confirmed shipments they’ve completed, ensuring quality with a strong track record. Jungle Scout’s Match Score determines how relevant this factory is to your product, guaranteeing they’ll have the capability to make your product. Niche products require special care. Supplier Database shows you factories with similar products, and ones willing to fulfill smaller order quantities. Supplier Database is included with any Jungle Scout Web App plan. Our software was created by sellers, for sellers. Add the Chrome Extension Pro with the Web App for the most comprehensive solution to finding and validating your product ideas. 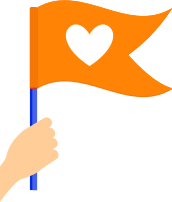 Jungle Scout is your all-in-one solution for finding a profitable Amazon product. Your entrepreneurial dreams await.